Stand up paddle boarding, Stand up paddle surfing – It’s all the same thing SUP. SUP – the worlds fastest growing water sport! It’s an exciting way to explore beaches, lakes, rivers, estuarys, harbours and catch a few surf waves. It is one of the most versatile water sports that you will ever come across combining surfing, fitness, leisure and racing. The great thing about SUP is that depending on the conditions it can be a mixture of soul cruising or hi-performance ripping all in one package. SUP is a sport that can be easily learned if you have a reasonable level of fitness, some balance and previous board sport experience. If this is not you don’t panic 🙂 SUP is not technically difficult and can be learnt by anyone young or old! After a couple of lessons with our Accredited SUP instructor and a few practice sessions we will have you SUPing confidently and safely. 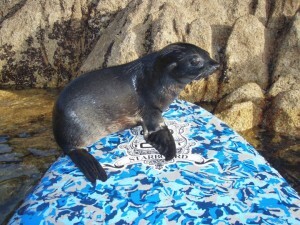 The best thing is that SUP is accessible to pretty much everyone. 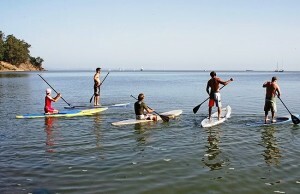 You too will be able to experience the thrill of Stand up paddle boarding, an ancient form of Hawaiian Surfing! We have put together some different options for you. Learn with Nelson’s only Accredited SUP Instructor! Once you have yourself standing up and the paddle in the water you’re all most there! If you don’t have much experience at water sports, or maybe you just aren’t feeling to fit, proper lessons are definitely the way to go… leave all the safety and weather conditions etc to your instructor. We will equip you with the right gear for YOU taking into account your body weight, shape, height, age and fitness level. It’s not just about the very first steps either, on your subsequent lessons your instructor can introduce you to all the different stances, turning techniques, different types of paddle strokes and generally improve and refine your all round technique.We will also bring you up to speed on the safety aspects of the sport and how to interpret and make the most of the wind and weather conditions so that when you get out there on your own you’ve got all the knowledge you need for fun and safe paddling. The 1hr lessons are designed to get you out there and SUPing. During the lessons everything is provided, just bring beach wear, sun protection and a drink. Flat water is best in the beginning and because we are mobile we can teach you at any ideal location around the Nelson region. Once you have done some lessons you can Hire our SUP boards and paddles whenever it suits or we can offer you good advice and help you choose from our range of new and used SUP boards, paddles and accessories, we have a full range of different boards, paddles and accessories to suit everyone. At the end of our Beginner 2 Intermediate lesson you will have enough understanding, ability and information to take your paddleboarding further at your own pace and leisure, if however you have ambitions to improve your paddleboarding and/or venture out into the surf, we’d recommend taking further lessons to increase your skills and understanding. Book this course if you want to fast track your learning experience! We stock and sell new and used SUP’s, Paddles and Accessories…and much more. There are 101 different configurations as far as fins, boards, paddles, deck pads and leashes. Let us help you with some options that will get you out on the water with the most amount of enjoyment and fun.